In our new report, the Schools for Health team illuminate how the school building influences the student's health, thinking and performance. The report incorporates findings from over 200 research studies and considers over 70 health outcomes related to school buildings. STUDENT HEALTH captures the overall physical and biological health of a school building occupant. For example, allergies, common cold, and other noncommunicable and communicable diseases can prevent students from feeling well throughout the academic year and may affect attendance. STUDENT THINKING encompasses short-term (i.e., hourly, daily, or weekly) impacts on cognitive function and mental well-being and includes attention, comprehension, annoyance, and irritability. STUDENT PERFORMANCE refers to the successful long-term academic performance of students. By the time a student graduates high school, they will have spent more than 15,000 hours in a school, which is the second longest indoor exposure time after their home. For more than 50 million K-12 students enrolled in fall of 2015, this is a time of critical physiological, social, and emotional growth and development, which is susceptible to many indoor conditions including, indoor air pollution, mold, elevated noise levels, radon, asbestos, inadequate lighting and more. New research by our team found ambient air pollution and access to green space to be associated with chronic absenteeism in Massachusetts’ public schools. Inadequate ventilation has repeated been found to affect student health, thinking and performance. Low ventilation rates have been associated with asthma symptoms, absenteeism from respiratory infections, more frequent nurse visits, fatigue, impaired attention span and poorer performance on math and reading tests. Noisy environments have greater impacts on children's comprehension, speech, memory and other cognitive processes than adults due their developing language skills. Access to natural daylight through windows, increased time spent outdoors, and higher illuminance levels in the classroom have been associated with improved sleep quality and reduced symptoms of headache, depression, nearsightedness, and eyestrain. 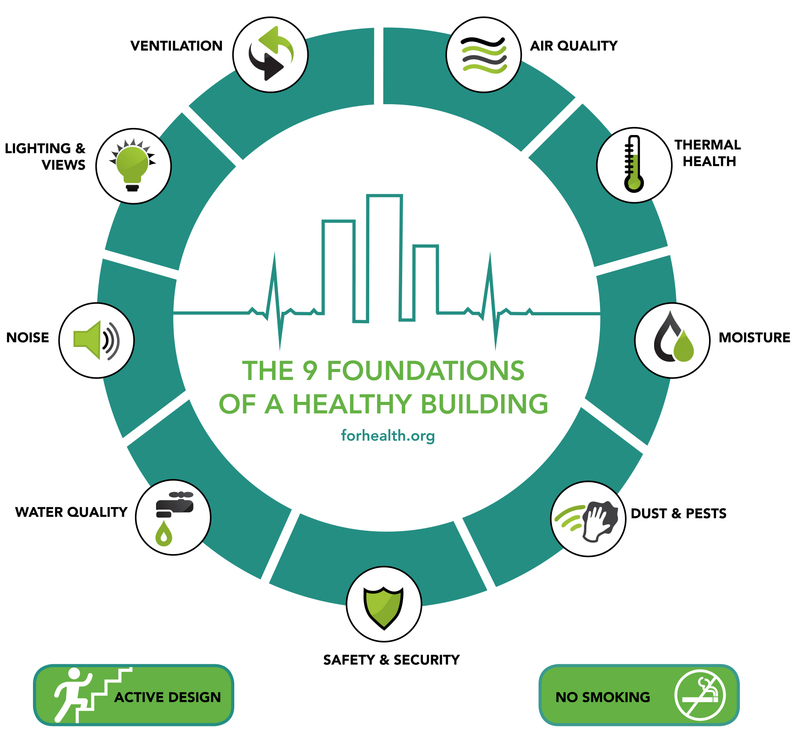 Schools for Health is a platform to discuss, research, and disseminate information on how school buildings impact the health and productivity of students and teachers every day. This team works to answer critical questions related to the environmental and contextual factors that influence chronic absenteeism, academic performance, and short and long-term health indicators.